Cypriots are filled with indignation at Turkish officials considering certain areas in Cyprus' offshore maritime zone, known as an EEZ, to be under the jurisdiction of Turkey, thereby trying to prevent Cyprus from exploring the area for natural gas. Greece's Foreign Ministry has rebuked Turkey's disregard for international law as a "blatant violation" of Cyprus' sovereign rights. "We called on Turkey to abstain from further illegal actions and fulfill its obligations under international law," the ministry said in a statement. Earlier, Cypriot President Nicos Anastasiades slammed Turkey for blocking an exploration vessel and said that Cyprus would take "necessary steps." 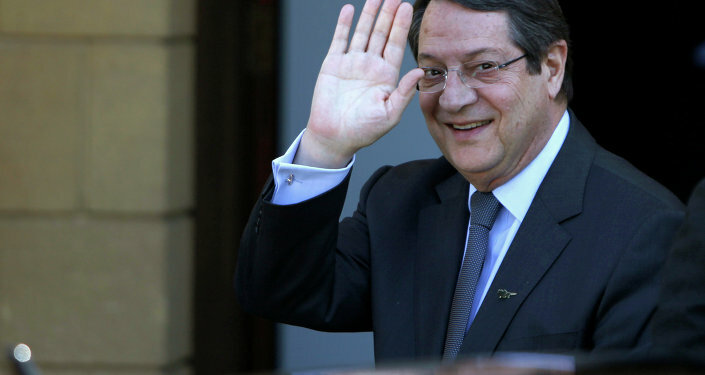 "From our side, our actions reflect the necessity of avoiding anything which could escalate [the situation], without of course overlooking the violation of international law perpetrated by Turkey," Anastasiades told journalists in Nicosia. An Italian drilling rig cannot reach an area off the coast of the east Mediterranean island where the energy company Eni has planned to start drilling for gas. Turkish warships stopped the Saipem 12000 Eni's drillship about 50km from the drilling destination and told not to continue because of military activities in the area, which are to take place until February 22. "The vessel has prudently executed its orders and will remain in position pending an evolution of the situation," the spokesperson for Italy's state-controlled Eni said. Turkey rejects what it says is a "unilateral" search for resources by the Cypriot government, saying that it neglects the rights of the seceded Turkish Cypriots to the island's natural resources, endangering security and stability in the region. In 2011 Cyprus and Turkey began to dispute on account of search plans for hydrocarbonsof the Republic of Cyprus in its exclusive economic zone. Greek Cypriots run Cyprus' internationally acknowledged government, while Turkish Cypriots, who run a breakaway state recognized only by Turkey, say resources around the island belong to them too. Cyprus was de facto split in 1974 when Turkey invaded following a coup by supporters of unification with Greece. Only Turkey recognizes thea Turkish Cypriot declaration of independence and keeps more than 35,000 troops in the north.